You are here: Home / giveaway / current giveaways / Win a 32″ VIZIO LED HDTV! Win a 32″ VIZIO LED HDTV! Do you remember when TV’s weighed a ton and were the size of a small car? (OK, maybe that’s an exaggeration…but only slightly.) Now, TV’s are sleek and slim, like this VIZIO 32-Inch Class LED HDTV which one lucky person will be winning! We’ve teamed up with a group of bloggers to give one of you – our uber readers – the chance to win a brand new VIZIO 32 Inch LED HDTV ($248 ARV)! We’re excited to join this giveaway’s cohosts – Oh My Gosh Beck!, This Mama Loves, and Beauty Brite. This giveaway ends in 3 weeks, on June 24th, 11:59PM EST so you have plenty of time to enter, as well as earn daily entries to help improve the odds in your favor. This VIZIO TV giveaway is open to eligible entrants worldwide. Winner can choose between the TV or an Amazon GC! 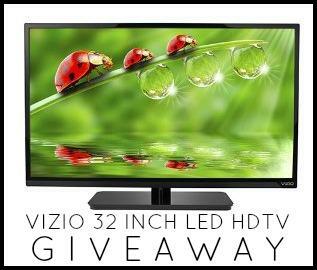 Enter to Win a 32″ VIZIO LED HDTV! One lucky winner will receive a VIZIO 32 Inch LED HDTV ($248 ARV). Do DVDs count? I just borrowed “The Larry Sanders Show” and that’s going to take a while to get through, and I want to buy “The Newsroom” when it comes out on DVD this month. Wow, just one. LOL. Okay, Ghost Hunters my fav. I don’t watch a lot of network TV, but I’m sure we’ll find something! I will be watching Longmire. Where the Heart is on DVD! Anything on Animal Planet – it’s a family favorite! I’m going to watching Love it or List it! I’ll be watching “The Americans” on FX. Probably I’ll be watching DVDs. I love The Wendy Williams Show! I will be watching Mistresses! 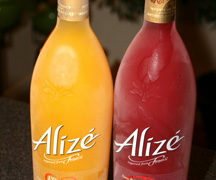 I’ll be watching True Blood and Mentalist. Summertime: Drop Dead Diva and Kardashian’s Winter: NCIS! Pioneer Woman food network show. PROPERTY BROTHERS HGTV,,,LORD HOW MERCY WISH THEY WOULD COME VISIT AND REDO MY HOME ,,,BLESS THEM. I’ll be watching Trueblood every Sunday on this tv. Awesome giveaway! I will be watching Call of the Wild with Ernie The Turtle Man! Pretty Little Liars. Thanks for the chance to win!